I like to think I'm the kinda gal who likes the simple things in life. The smell of a freshly cut orange, the sound of seagulls... and snacking. A few Pringles here, a dried apricot there, it's my number one rule to always keep nibbly bits close at hand. 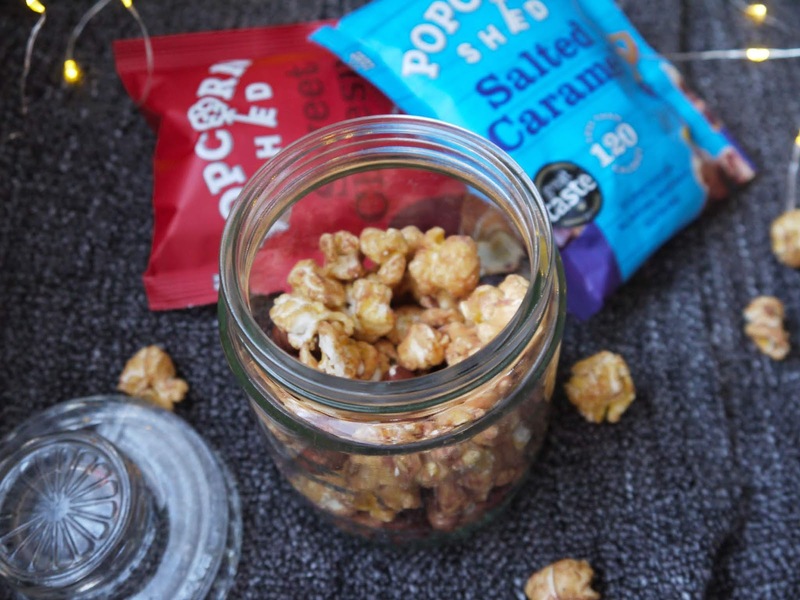 Popcorn Shed share my ethos, and the two masterminds cousins behind the brand have cooked up a range of flavours to suit any snacker. With salted caramel chocolate chip, cheese, and fruit and nut options to choose from, this isn't your garden variety popcorn. 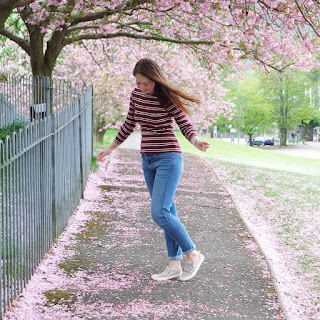 From small beginnings in their own garden shed, this homegrown business has boomed, and you can now 'pop' a box in your basket in John Lewis or popcornshed.com. Staying true to their roots, each flavour is boxed in shed packaging, with messages like 'WARNING: bikini bottoms may be found inside' and 'there's nothing corn-y about recycling'. It reminds me of Innocent's packaging, and I like that it comes across as a fun brand, born out of a genuine passion, that makes it stand out from bigger brands. Even the names are quirky, with Butterly Nuts and Sweet Cheesus meeting the approval of this self-confessed pun princess. While the secret family recipes are already perfected, I decided to pimp up my popcorn even further to make a sort of trail mix. I grabbed a jar and poured in a snack pack of the Salted Caramel popcorn, which has milk chocolate chips melted in and a good sprinkle of sea salt, then added a handful each of hazelnuts, almonds, and peanuts. Each mouthful was like eating a Snickers bar, and thanks to the filling nature of the popcorn, good fats from the nuts, and of course the sugar rush, this mixture was perfect for nibbling as I went out walking. Even the squirrels looked jealous! If nuts aren't your thing, try going for an Eton Mess style treat by combining Berrylicious popcorn with white chocolate chips, broken meringue pieces, and dried cranberries. For a savoury treat, add walnuts and small crackers to a bag of Say Cheese! Pop a few options together and you have the perfect hamper gift for those hard-to-buy for people. What's your favourite flavour combo? Popcorn samples were sent to me for review. All opinions are my own.